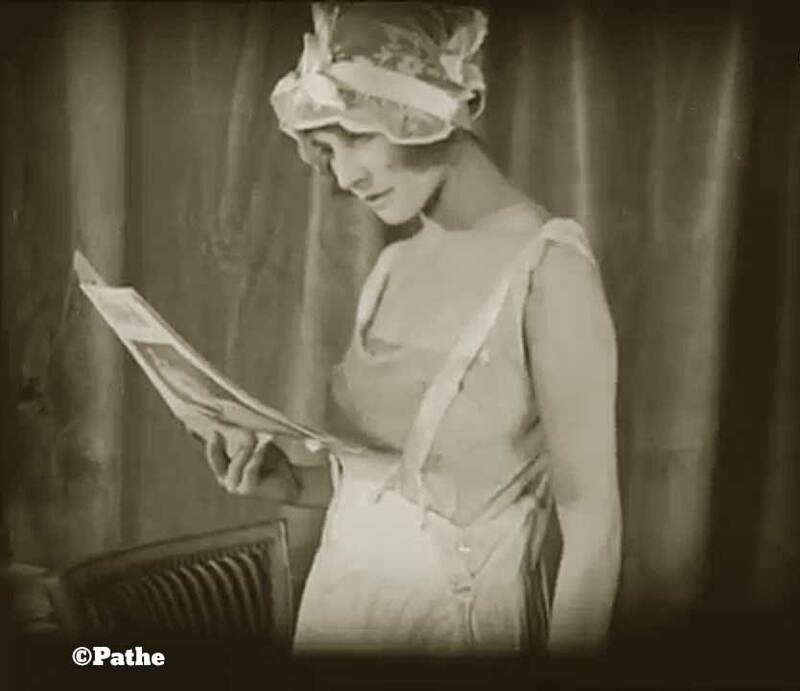 An early silent fashion film newsreel from Pathe offered British women a diversion from the grim reality of wartime and factory working. 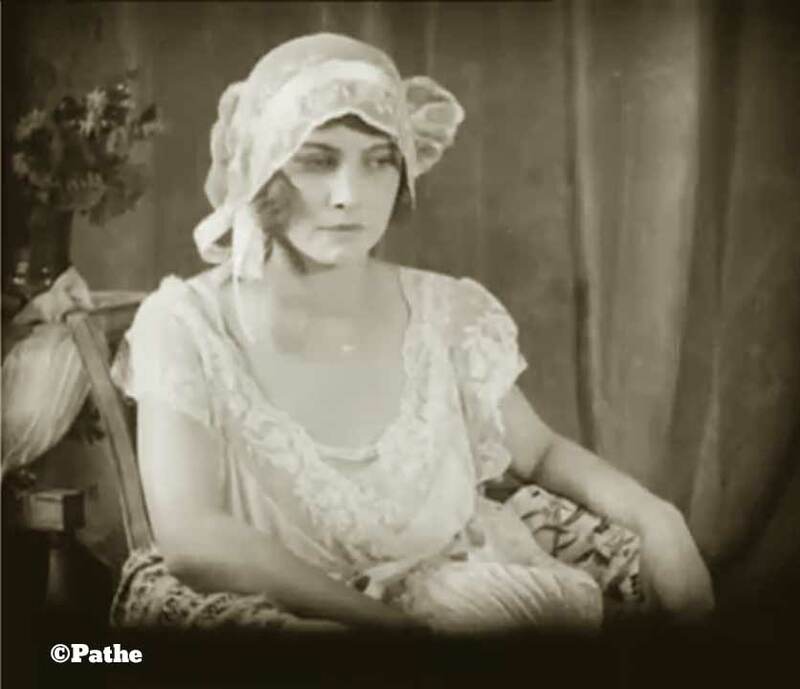 This “Cle” butterfly boudoir cap of old lace becomingly frames this young Parisienne’s face! Here she is modelling in her full boudoir lingerie, almost an Ernst Kirchner girl come to life. Braces – and why not Adam !? The outfit is simple white crepe de chine, but the pleats are an original variation this year. Finally, did you notice the quaint elephants detail on the scarf?